There are still many people who visit restaurants and another type of commercial kitchens to eat a different kind of toast. 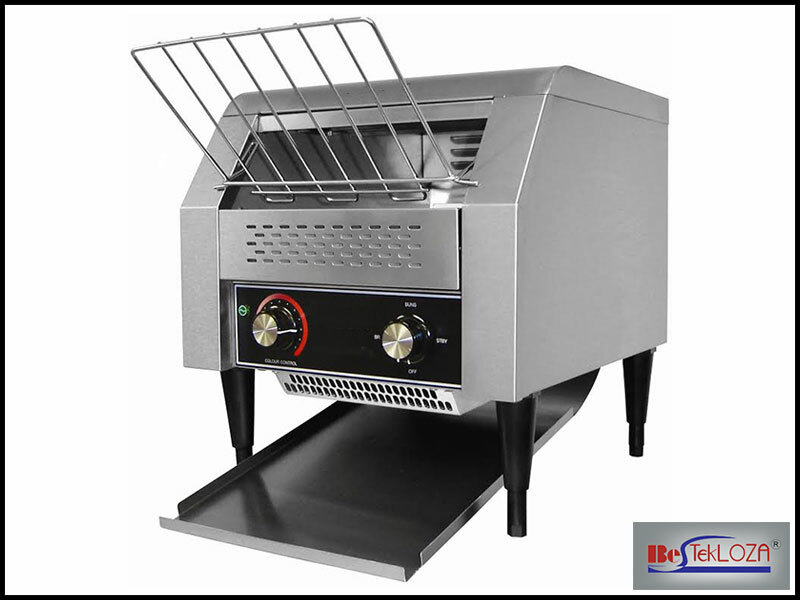 Thus, in every commercial kitchen toaster is considered as important hotel kitchen equipment. There are different kinds of commercial toasters that are available and also vary in its style and feature.So, it is definitely hard to make any choice when there are so many types of commercial toaster out in the market. Generally, toaster exists of particular two types- conveyor toasters and pop-up toasters. But, you might think that whether the size or type really matters or not? The answer to that is definitely yes. But between the two Conveyor toasters is really suitable for large scale of toasting. Also, this particular kind of toaster has huge capacity and delivers food for more than 2,000 toasts every hour. Incredibly amazing right? Foods are generally placed on the conveyor and a large number of toasts come out of the machine. These are a particular kind of toasters that is absolutely perfect for domestic use. Sometimes, they are also used in commercial kitchens. Kitchen owners who generally hire Turnkey kitchen projects can able to get both kinds of toasters. Generally, in these kinds of toasters, only 4-5 slots are available to make the toast. So, it is just perfect for domestic purpose where the need of making the toasts is very less. It is important that for commercial purpose you must determine the perfect toaster so that toasting is done properly. Obviously, in the commercial kitchen, the demand is much more and conveyor toaster considered being suitable to make the process much effective. While on the other hand as already stated the domestic or pop-up toaster is not suitable to meet such larger demand due to its less capacity and volume. It is true that you definitely do not need to be very well experienced to check the designs and decor of the kitchen place. Generally, most of the conveyor toasters are either made of aluminium or chrome materials. But, if you want to display your toaster in a buffet then it is must that you should opt for chrome plate as it will complement with your other dishes. Most of the conveyor toaster also comes in various design and patterns unlike domestic toasters and thus, the former makes the work much easier. Another, very important feature which exists in conveyor toaster and not in a pop-up toaster is that the heating buttons can be easily controlled. This particular feature is considered to be very important when you are actually planning to toast the food in different kind of heating temperatures. Also, the bottom part of the toaster is used as warming tray where the toasts can be kept before serving. It is important that toasters also must be cleaned at regular intervals. The conveyor toaster is larger in size so it can be easily cleaned by disassembling it.